You are about to enter the Sample:City of Cockburn 2012 Coogee Jetty to Jetty. Please read the information below before you continue with your entry. Afterwards you can click the "next" button to start your entry. "..the best family open water swim in the west.."
Jointly organised by Cockburn Masters Swimming Club Inc. and Rotary Club of Cockburn Inc., the Coogee Jetty to Jetty is a special community event which provides a great opportunity for participants to take part by swimming or walking or just supporting and enjoying the breakfast. Part of the Dale Alcock OWS Calendar in WA, the event is unique in offering both a 1,500m and 750m swim in clear sheltered waters between Coogee Beach and and Woodman Point. Participants start with a walk along the beach to the starting points then swim back to the Woodman Point Jetty. Competitors range from 8 through to 85 years of age. This year's event is generously supported by the City of Cockburn as the major naming rights sponsor. A host of other sponsors are kindly providing their generous support with further details available on the day and on the event website. 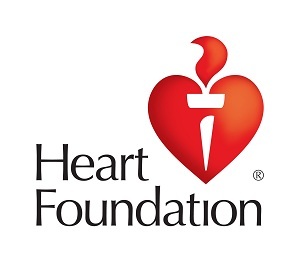 After linking up for the first time in 2011 to support Heart Foundation (WA), this year's event has again joined forces with this worthwhile cause to promote the awareness of heart disease and raise funds to save lives.